Pink blouse. Pink riding helmet pulled from her pink backpack. Perfect in pink is the best way to describe SIRE’s own Lauren Hall. Lauren (pictured with instructor Toni Conner) was ready to ride Santana and demonstrate her award-winning form for the Houston Chronicle team. 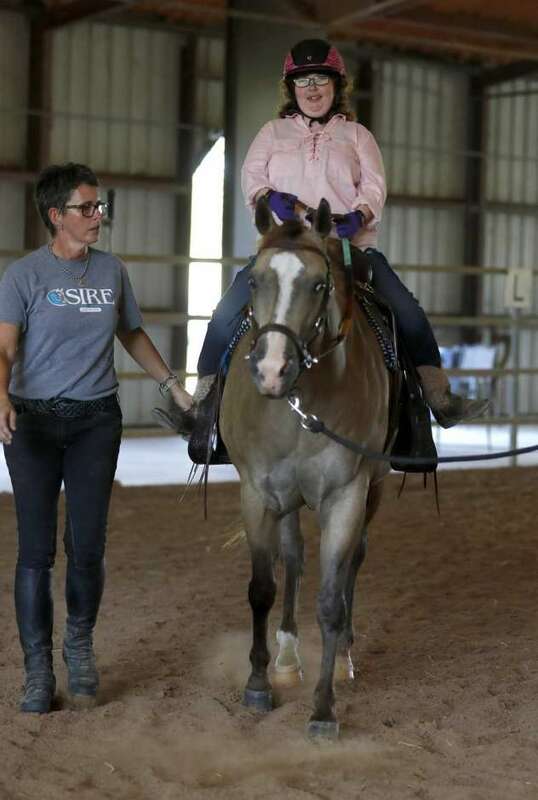 While visiting the Fort Bend facility, Chronicle reporter, Brook Lewis saw first hand the benefits of therapeutic riding and the special bond horses and humans have toward each other. With premium visibility on the main page of the Chronicle’s City & State section—and a reprint running in the Miami Herald—the article chronicled SIRE riders’ accomplishments and how we rescued Ernie from knee-deep Harvey flood waters to nurse him back to health and into life as a therapy horse.